Every August, the world's best sport returns with the world's best leagues -- that's right it's football season! Not American football, but The Beautiful Game, the world's game -- soccer. Due to it's return, we always highlight a soccer film in August to get ready for the return of the sport. 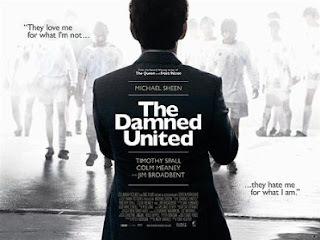 This year, we look at 2009's biopic on infamous Leeds United manager Brian Clough -- The Damned United. The film, starring Michael Sheen as Clough, centers around the manager stepping foot into one of the most violence teams in Europe and England in the mid-1970's -- Leeds United. Clough has many trials and tribulations organizing his squad, discipline them and of course, trying to win over the fans of the club. The film, directed by Tom Hooper, showcases the inner workings of a manager trying to do things his way and the politics it takes to run a club. This is a film for all fans and even non-fans of the game.